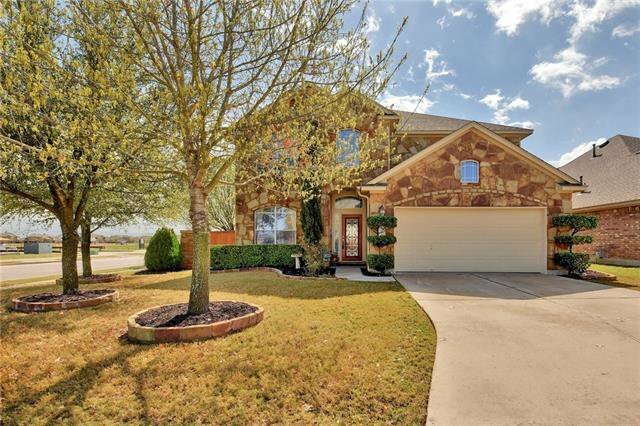 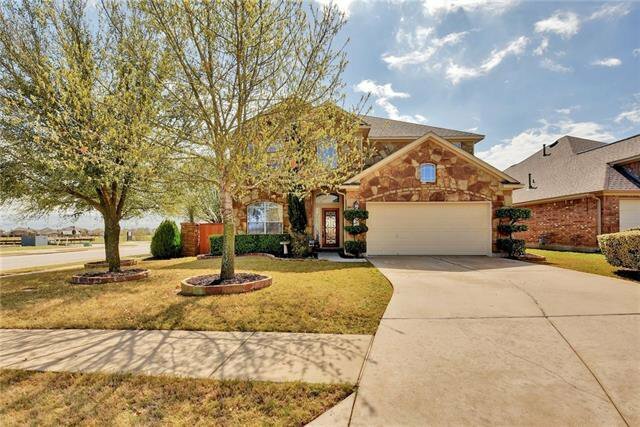 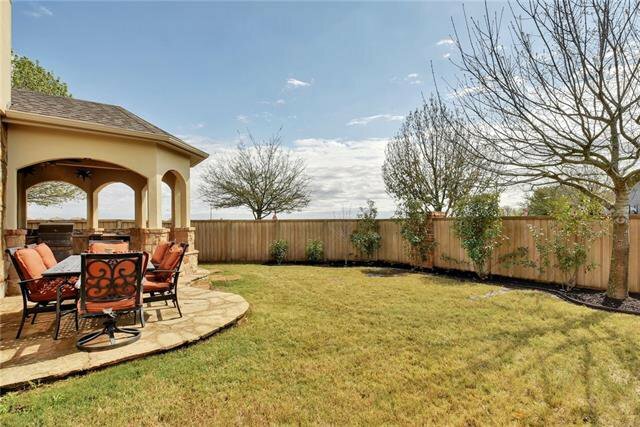 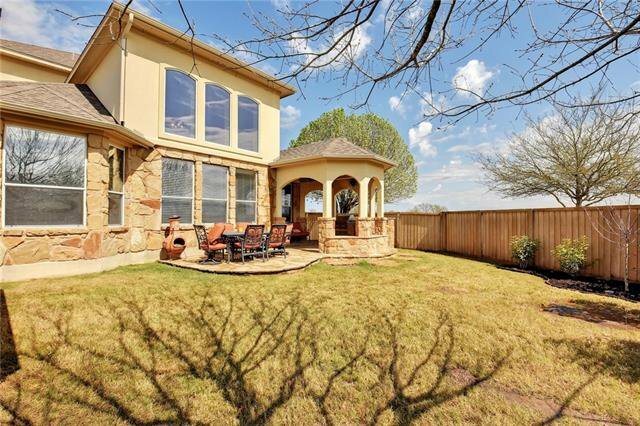 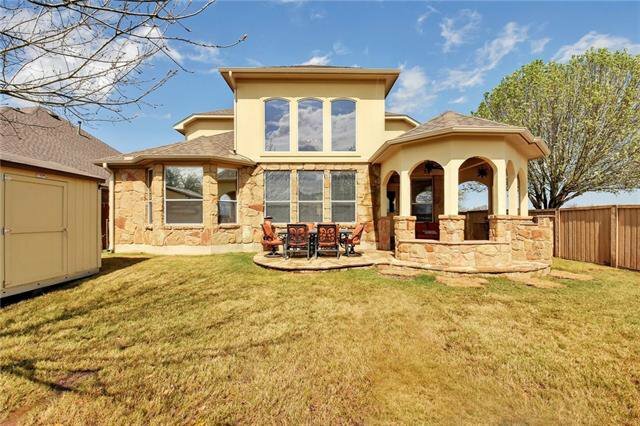 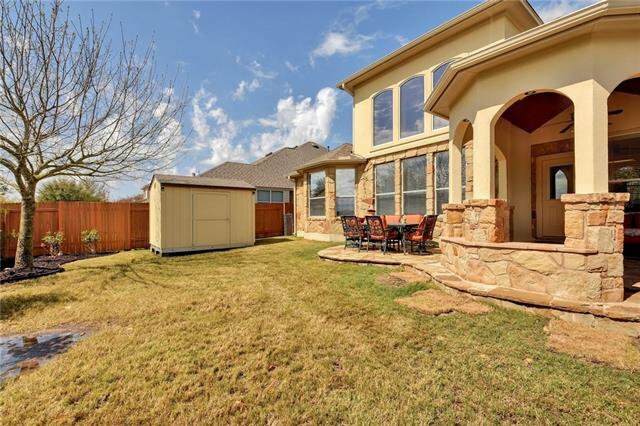 This Texas stone beauty sits pristinely on a corner lot, complete with mature trees & designer landscaping! 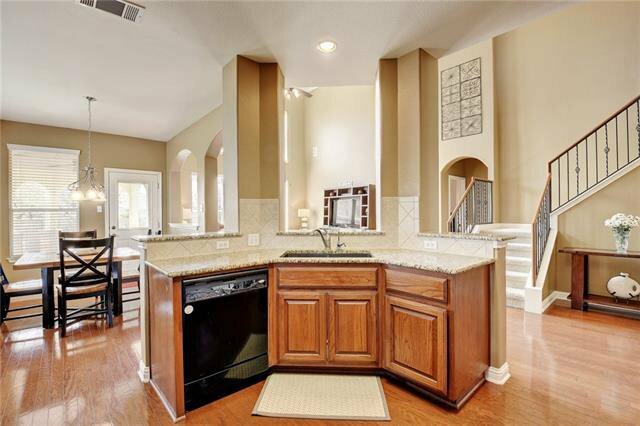 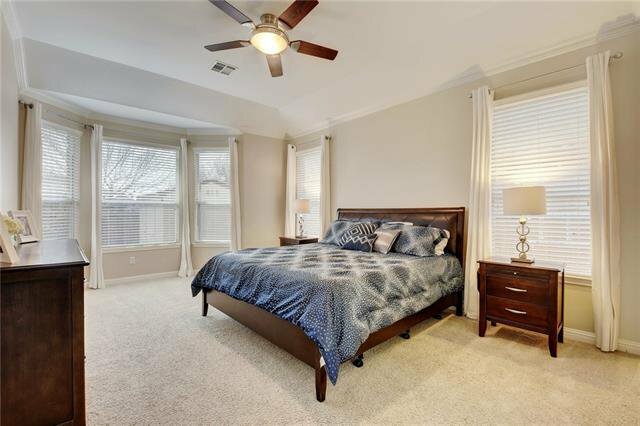 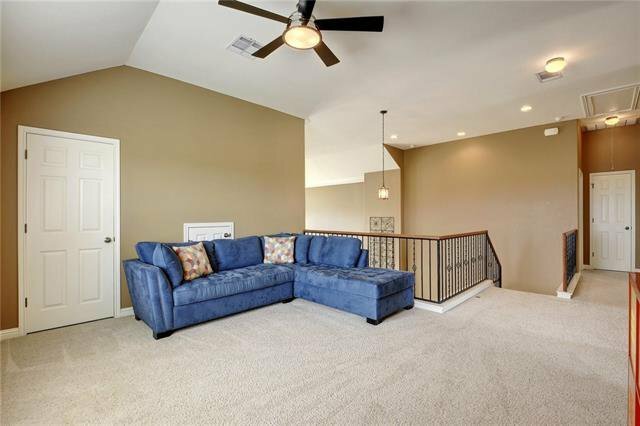 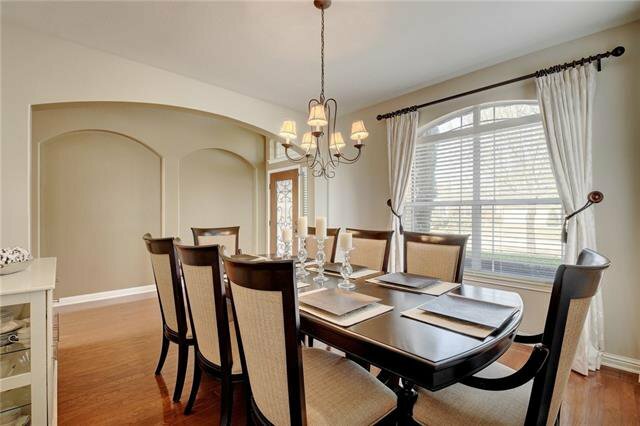 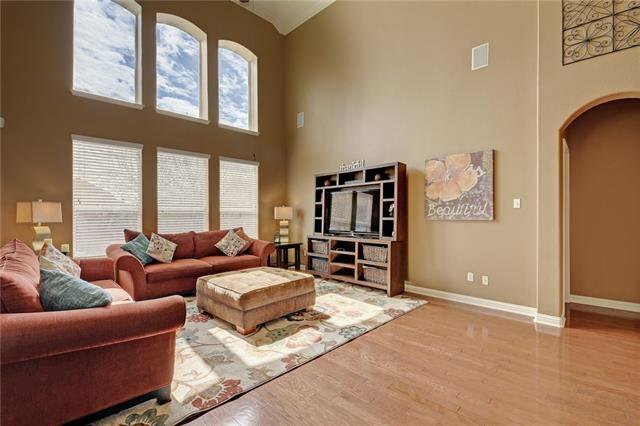 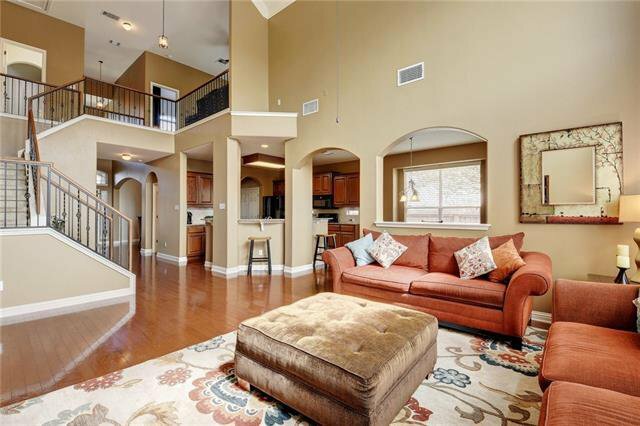 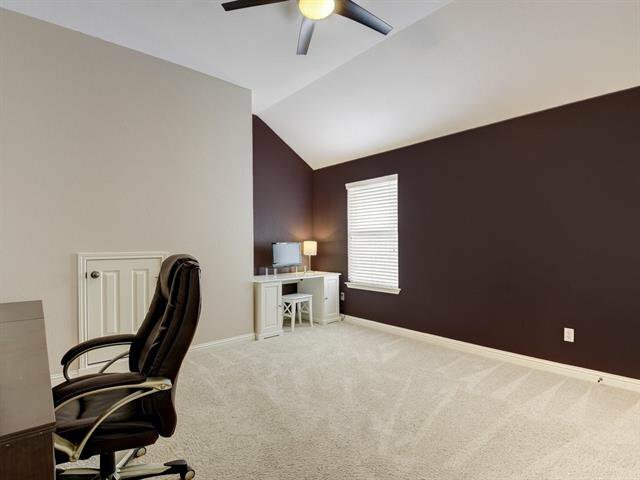 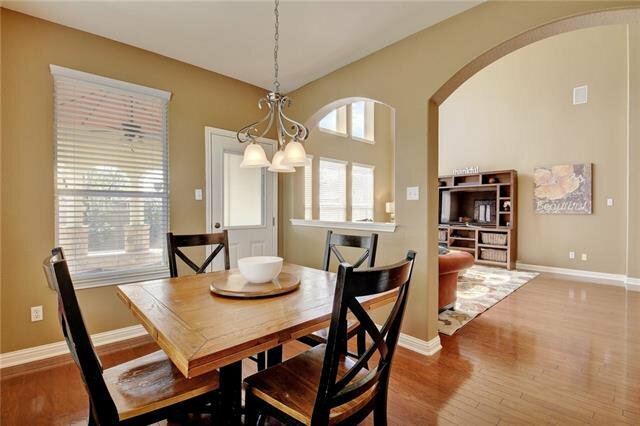 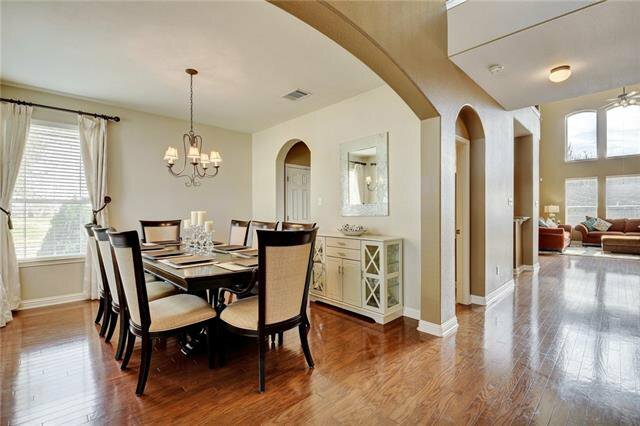 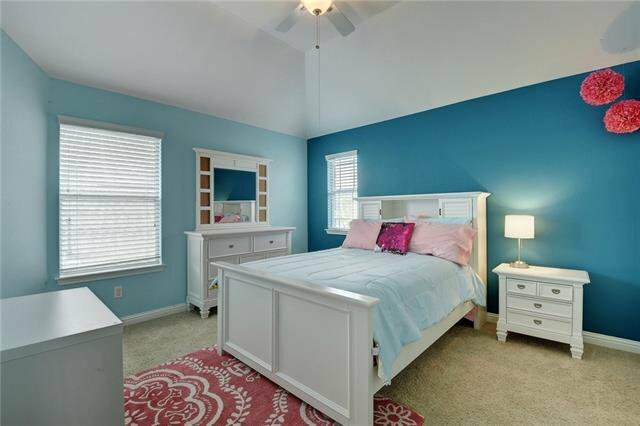 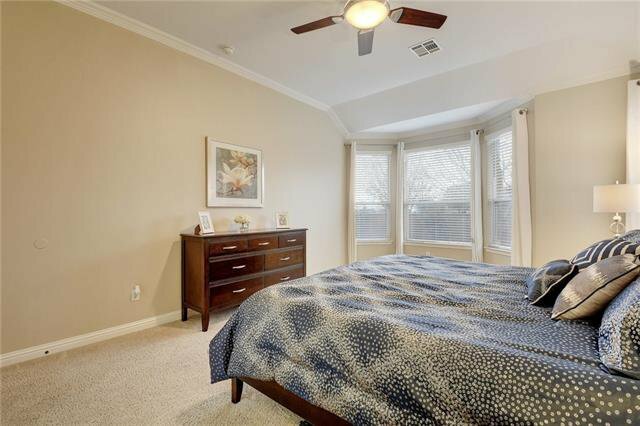 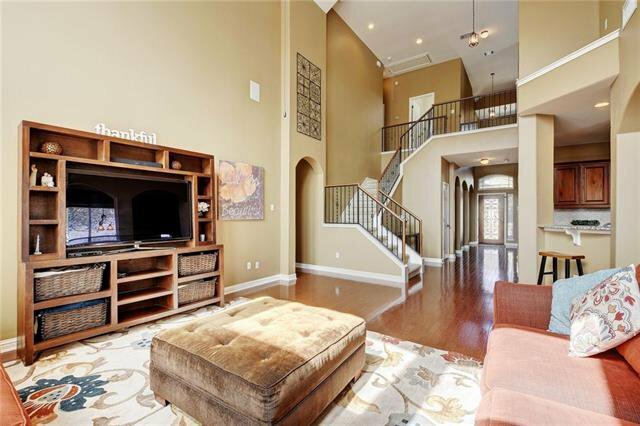 Interior features include a fresh coat of paint in most areas, wood floors, soaring ceilings, & tons of natural light! 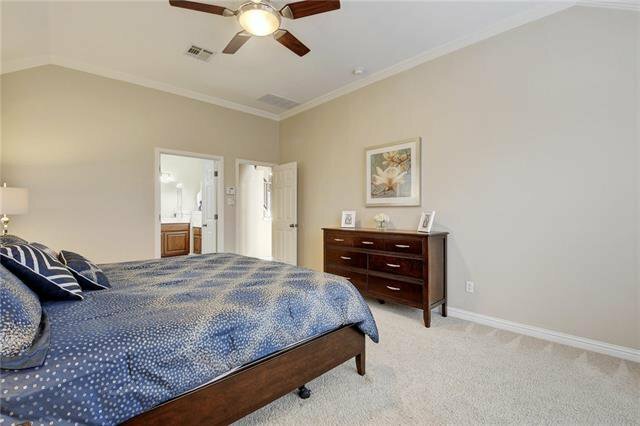 Floor plan includes a main level master suite, & three additional bedrooms/game area on the upper level. 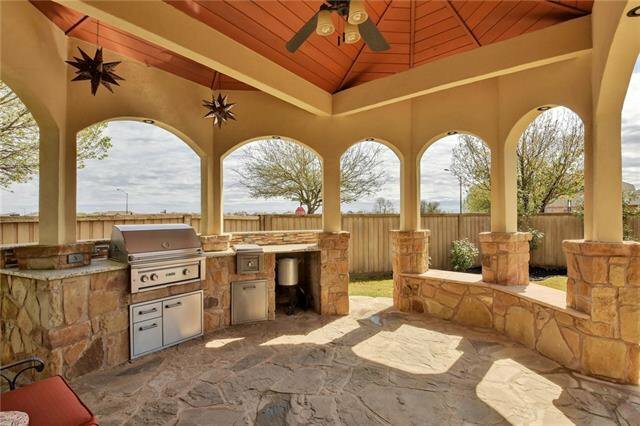 The backyard is an entertainer's DREAM! 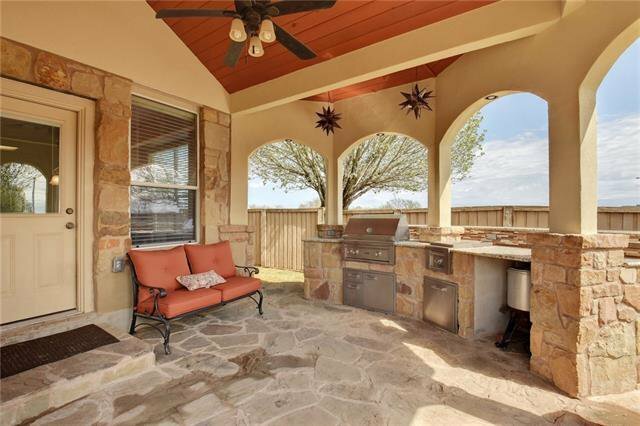 Custom covered patio, pre-wired for sound, outdoor kitchen, & more! 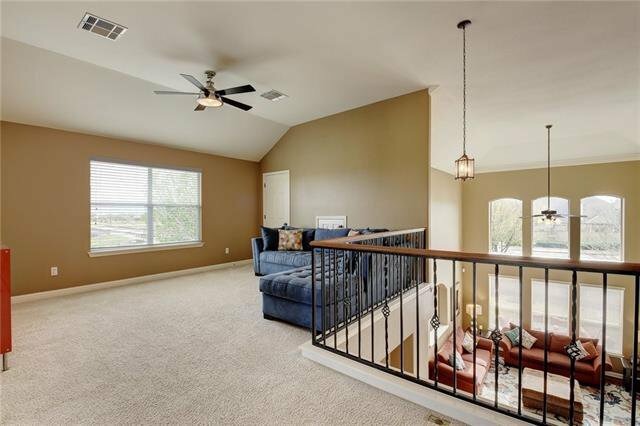 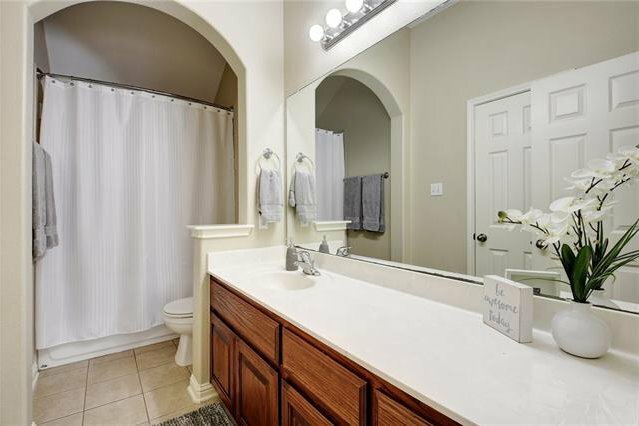 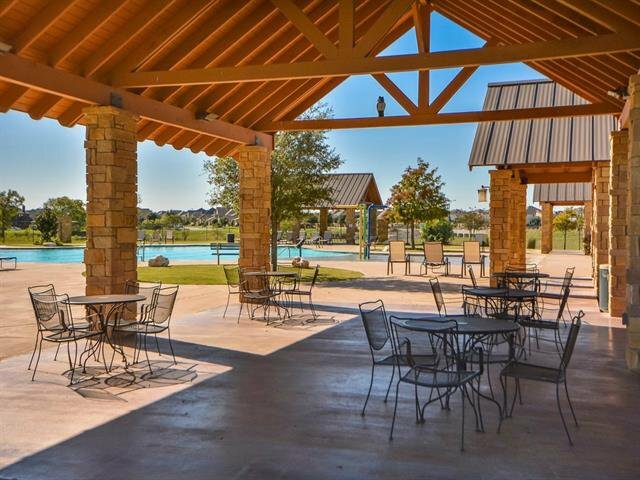 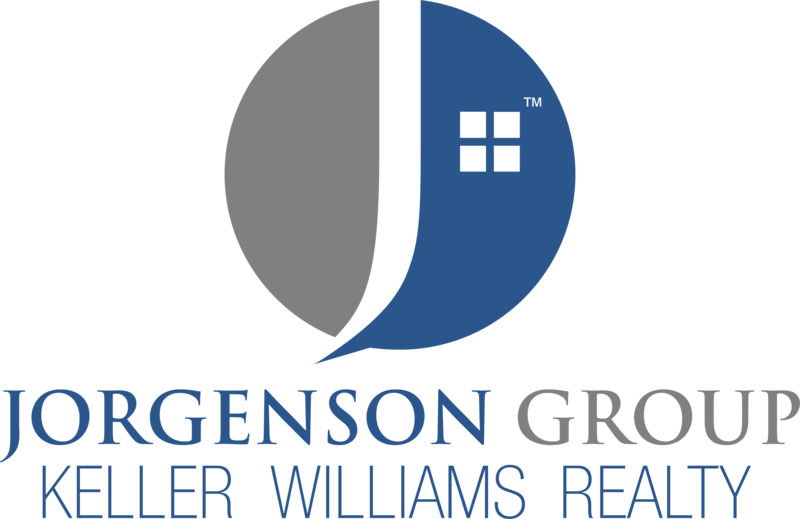 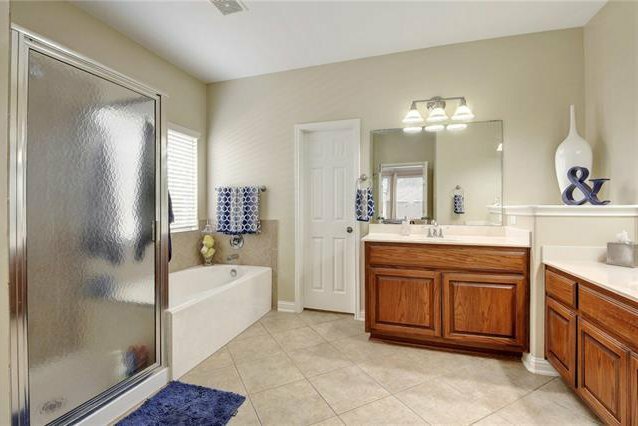 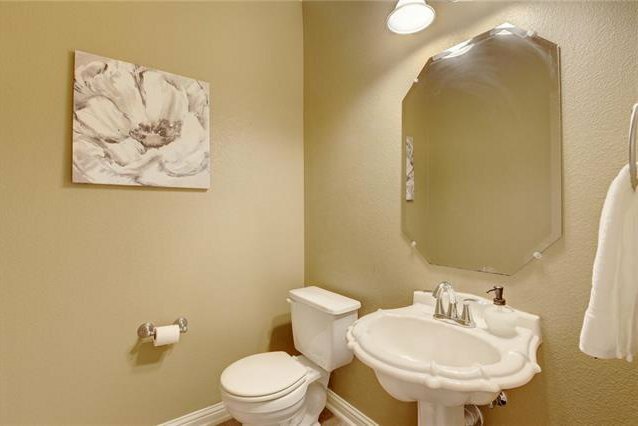 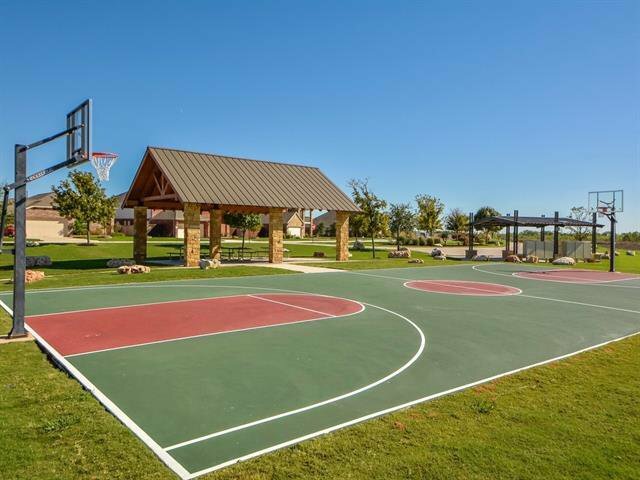 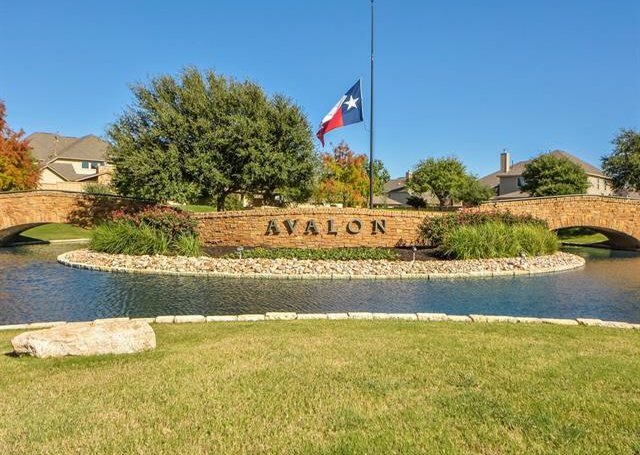 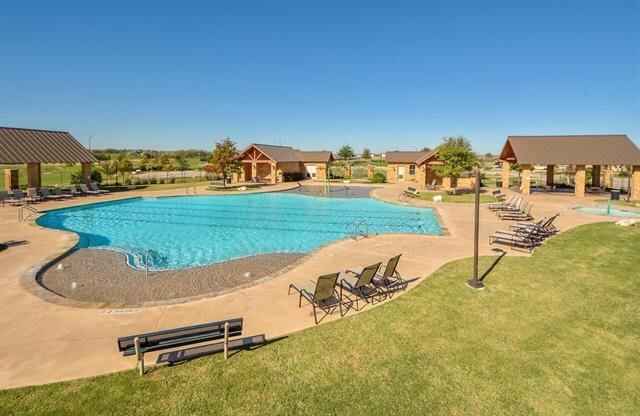 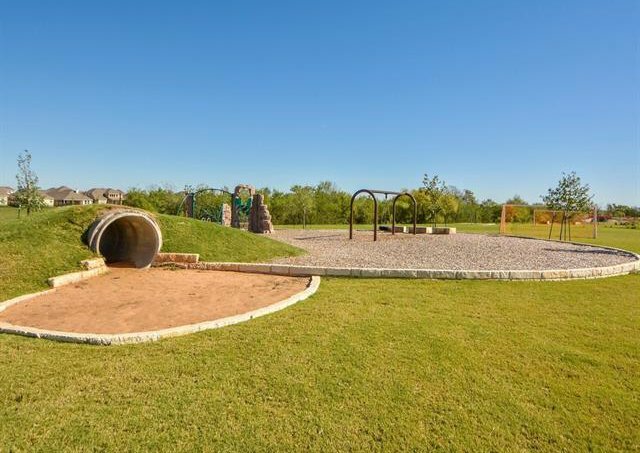 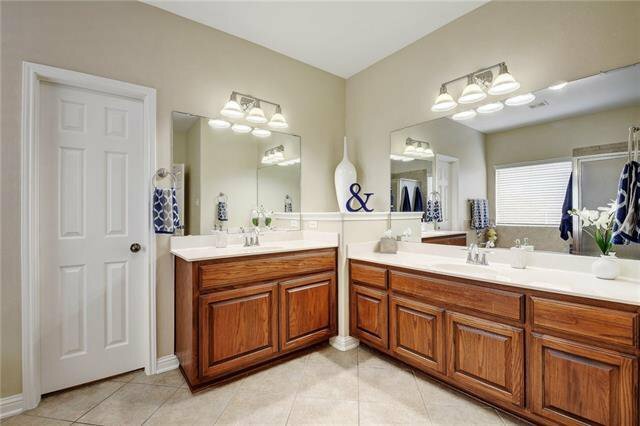 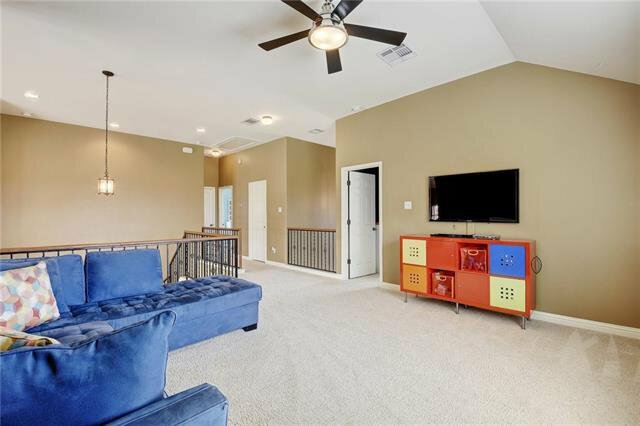 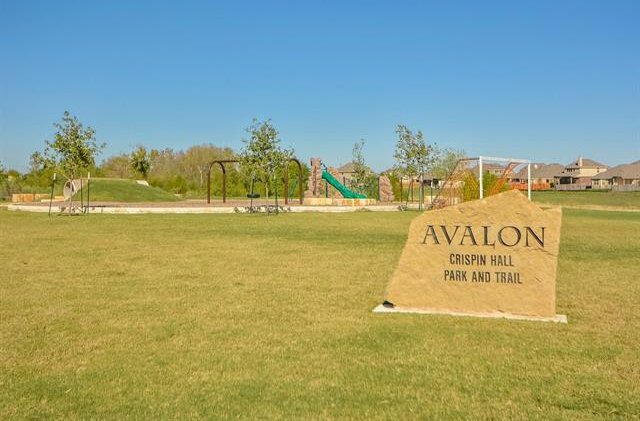 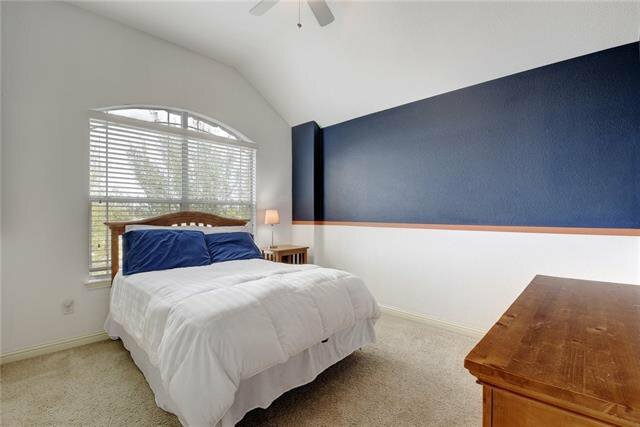 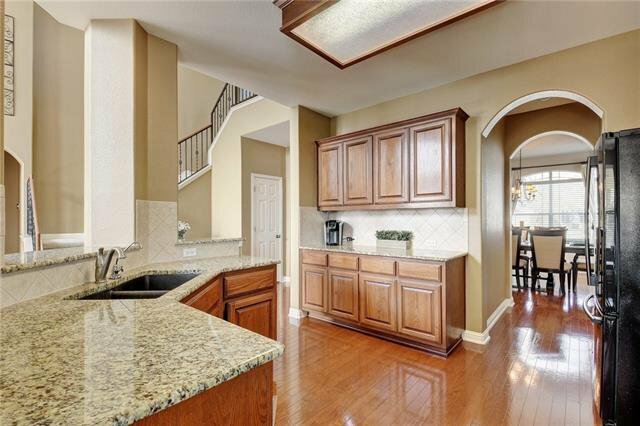 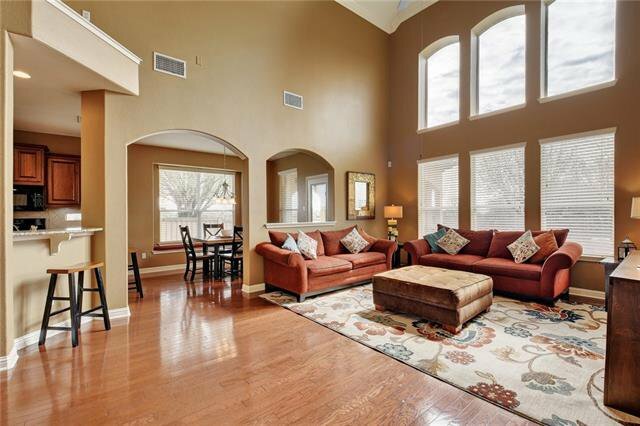 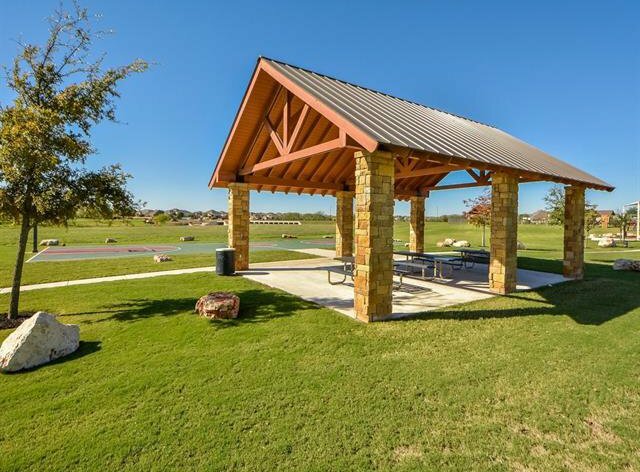 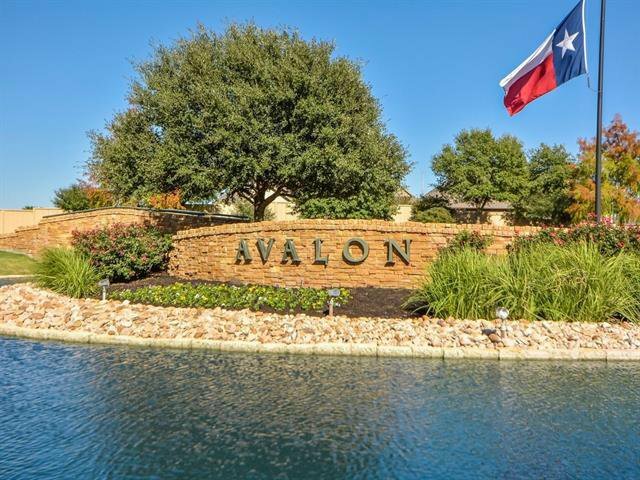 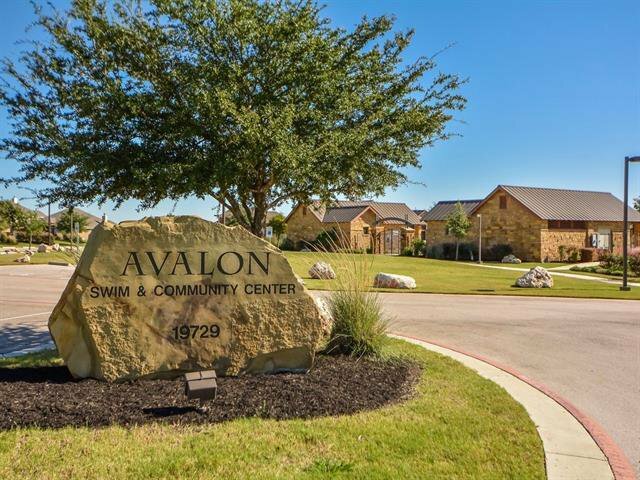 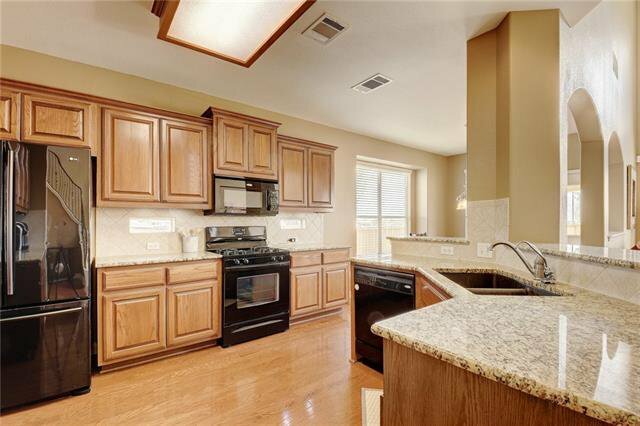 Walk to Riojas Elementary, Community Pool, & hike/bike trails!